Iran's president has said some of the centrifuges used in its uranium enrichment programme were sabotaged, raising suspicions that they were targeted by the Stuxnet computer worm. Mahmoud Ahmadinejad said the problems had been created by enemies of Iran, but had had only a limited effect. Iran has repeatedly denied that Stuxnet had affected its nuclear programme. The UN said last week that Iran had temporarily halted most of its uranium enrichment work earlier this month. The West fears Iran's ultimate goal is to build nuclear weapons. Iran says its programme is aimed solely at peaceful energy use. "They succeeded in creating problems for a limited number of our centrifuges with the software they had installed in electronic parts," Mr Ahmadinejad told a news conference. "Our specialists stopped that and they will not be able to do it again," he added without elaborating on the software thought to have been used. 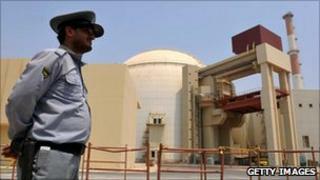 The Vienna-based International Atomic Energy Agency said in a report last week that a temporary stoppage had hit Iran's Natanz enrichment nuclear plant earlier this month. Experts say the worm, which Iran said in September had attacked its computers, has been specially configured to damage motors commonly used in uranium-enrichment centrifuges by sending them spinning out of control. The computer virus is a form of customised malware, written to attack a precise target. Analysts say the complexity of the code suggests it was created by a "nation state" in the West, rather than an organised crime group. Senior Iranian officials have said that the virus is evidence that an "electronic war" has been launched against the country. Mr Ahmadinejad's comments about the cyber attack worm come on the day that a high-profile Iranian nuclear scientist was killed and another wounded in two separate but similar attacks in the capital. The president accused Israel and the West of being behind the attacks.